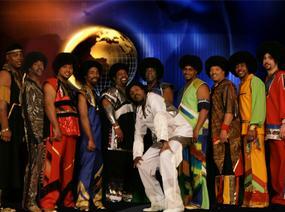 Shining Star brings that special, magical era of the 70’s and 80’s to the stage as only Earth Wind and Fire could do. Each member of Shining Star has studied his roll extensively. With a library of Grammy award winning gold and multi- Platinum records to choose from, Shining Star has selected Earth Wind and Fire’s well-known hits. Every song will be a crowd participating sing along. Shining Star, Earth Wind & Fire Tribute will select the love song Reasons to put you in a romantic mood, then perform Earth Wind and Fire’s remake of the Beatle’s classic, Got to Get You into My Life. Then Shining Star will get the party jumping with a party song like September. A huge part of the equation, the soulful lead vocals of Maurice White and the sultry tenor of Philip Bailey are highlighted thru-out every song with unbelievable reproductions by Wilson Drummer and Eric Rapier Bryant. beautiful full lush harmonies are remarkably duplicated by Shining Star, Earth Wind & Fire Tribute, if you close your eyes you will swear the original Earth Wind & Fire singers are on stage. If you have ever seen an Earth Wind & Fire concert, you would agree it was a memorable experience. The essence of that experience is channeled by Shining Stars inspiring performance. Are infinite... Sing a Song, Devotion, and Lets Groove Tonight, Boogie Wonderland, Fantasy, After the Love is Gone and of course Shining Star to name a few. 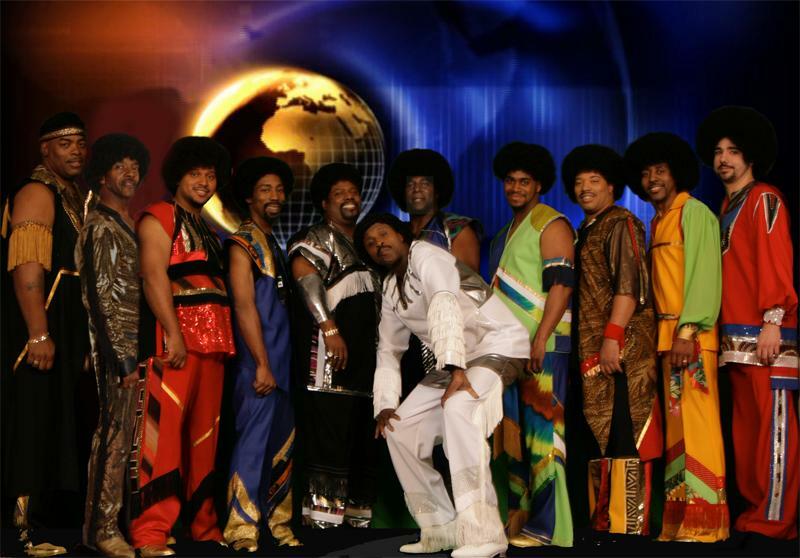 Shining Star, Earth Wind & Fire tribute brings infectious energy to the stage.Their show contains high stepping choreography and an energetic performance that only these pros can duplicate. Earth Wind & Fire's horn section, was known for its crisp, sharp and intricate horn arrangements. So it would only make since that shining star would seek out the most prominent horn players in the country. Shining Star's rhythm section is as close to the Earth Wind & Fire sound as you can possibly imagine. Each member of Shining Star believes in bringing an authentic vibe to the stage as a form of ultimate respect to the greatest R & B act in the 70s and 80s.